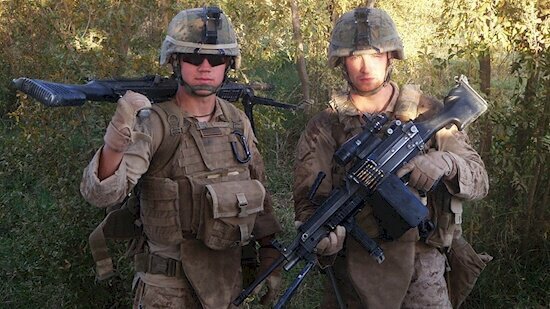 Brave Hero Jumped On a Grenade To Save His Fellow Marines, Are You Proud Of This Young Man? The brave men and women of our armed forces made a commitment to defend their country and if needed to sacrifice their lives. 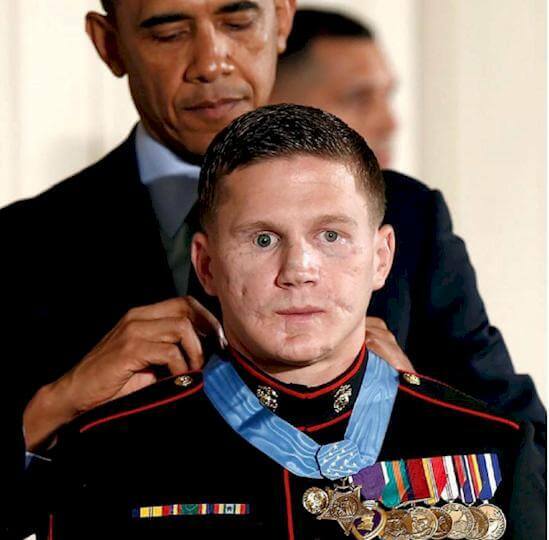 William Kyle Carpenter took his oath as a United States Marine very seriously. 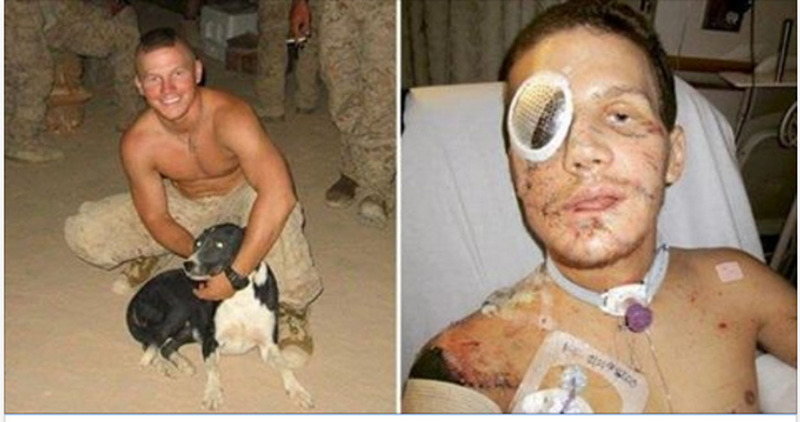 He jumped on a live grenade to save the lives of his comrades. 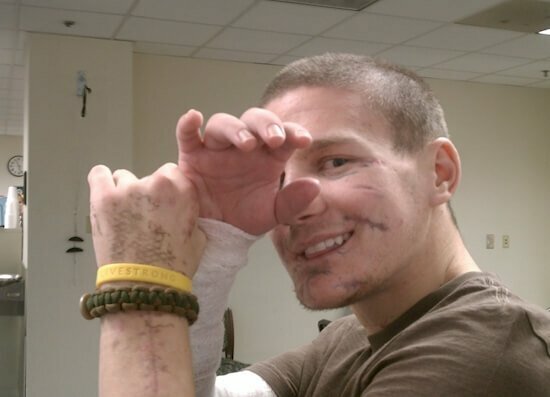 Miraculously, Kyle survived the blast and told his amazing story of courage. 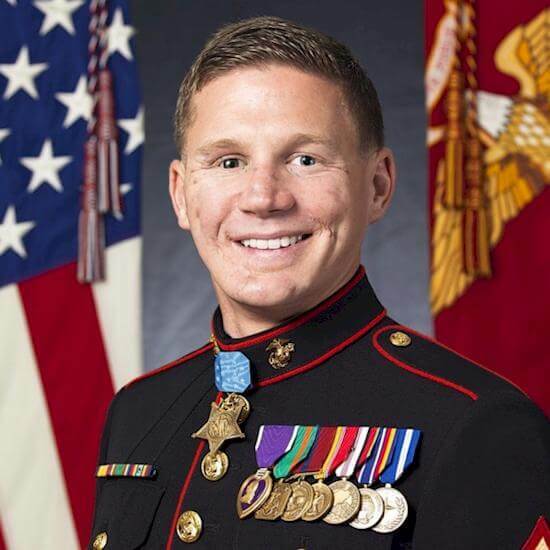 Carpenter earned the rank of Lance Corporal when he was 21. 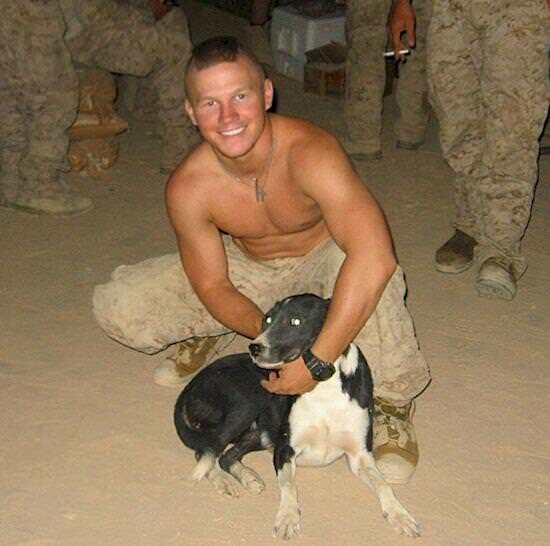 He was deployed to Afghanistan in 2010. 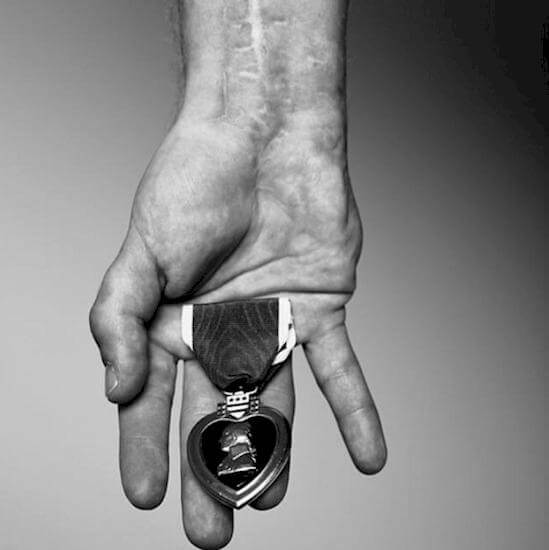 During a firefight, a grenade landed near a fellow soldier, and without hesitation, Carpenter threw his body on top of the grenade. Using his body as a shield, he saved the lives of his fellow soldiers. Carpenter survived, but his body was seriously damaged. 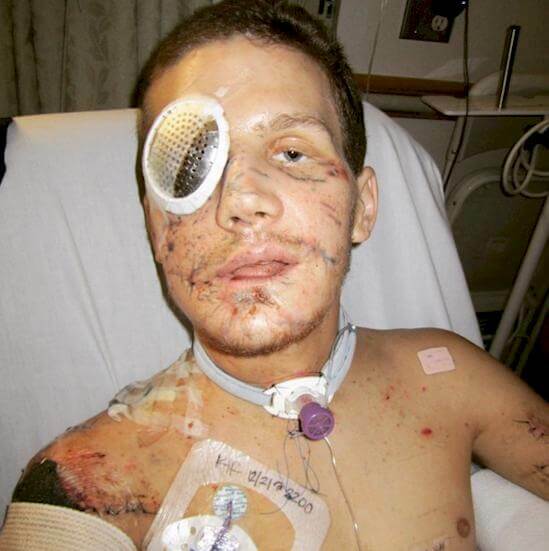 The bones in his face and skull were shattered, and shrapnel was embedded all over his body. Carpenter lost part of his jaw, and one of his lungs collapsed. 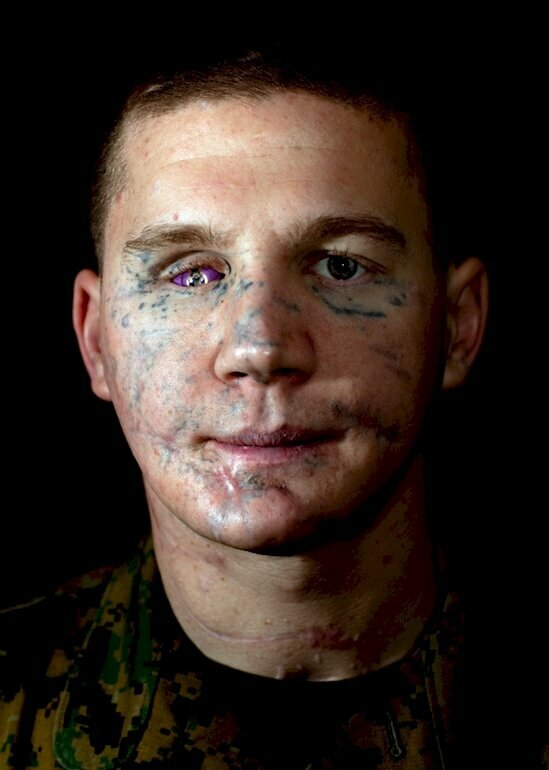 When he arrived at Camp Bastion, he was labeled P.E.A (patient expired on arrival). He was killed by an enemy grenade – but came back. Carpenter underwent forty surgeries over the next two years to repair the damage. 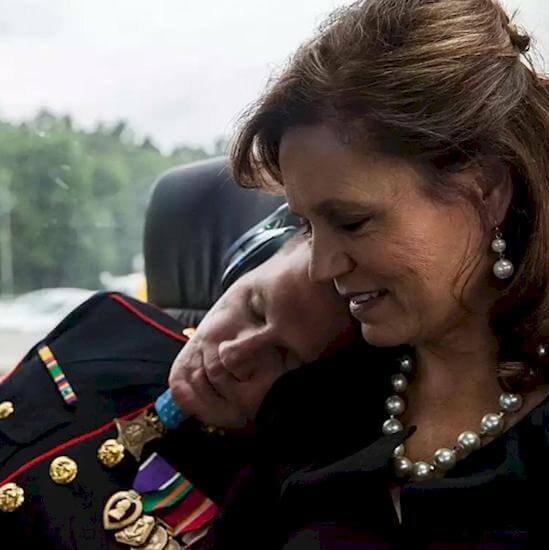 He was given a Purple Heart in Recognition of his incredible bravery. President Barack Obama presented Carpenter with the Medal of Honor. 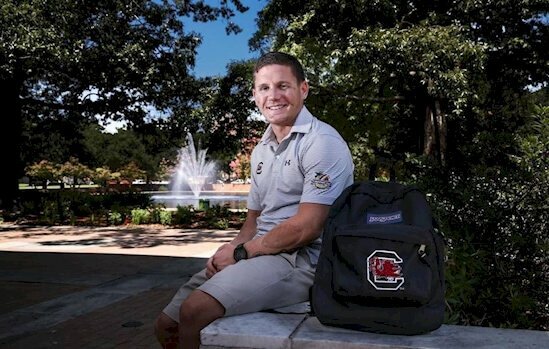 Kyle has now retired from the military and began went to the University of South Carolina to earn his degree in International Studies. He now helps others with charitable acts and motivational speaking. Thank you for your service Kyle. The Few. The Proud. 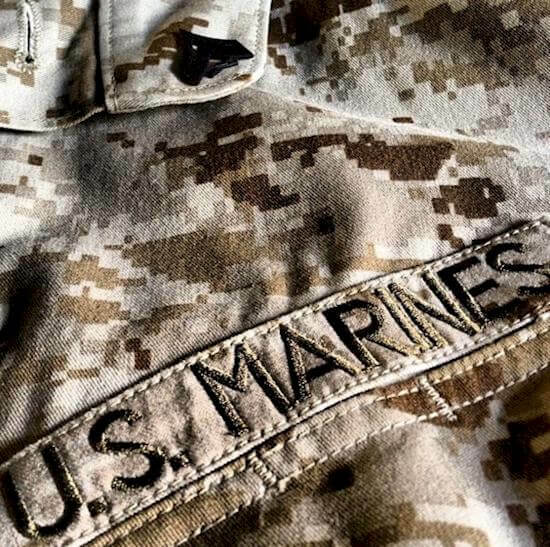 The Marines. Share away, people!